Omniquad warns: Fake CNN and BBC News Alerts point to MALWARE! 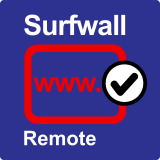 Omniquad Informs: BT Internet and Yahoo! Email Accounts Compromised – What to do? MovieStarPlanet – Not just Child’s Play – What every parent should know. if you would like to submit a guest blog post relating to the themes of this website you are welcome to do so. We also welcome views and comments! Omniquad offers readers 25% discount on business solutions such as Cloud Hosted Email Filtering and Web Filtering. 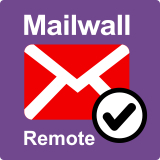 Have a look at Mailwall Remote Email Security and Surfwall Remote Web Security. MovieStarPlanet - Not just Child's Play - What every parent should know. Phishing Scam targeting Amazon users - "Your Amazon order has been shipped"
Spam - Why is Spam a problem?